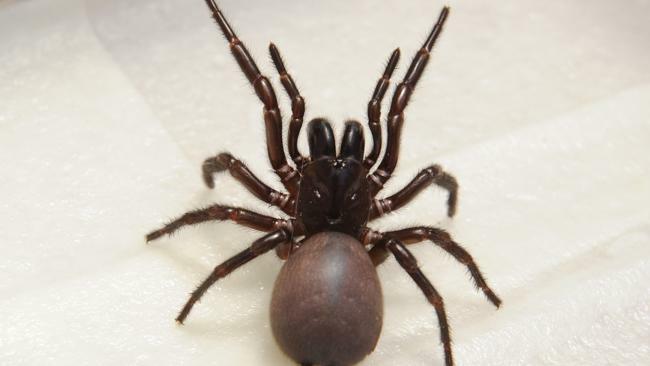 The most dangerous spider in the world is the male Sydney Funnel Web. It has killed three children in less than two hours. 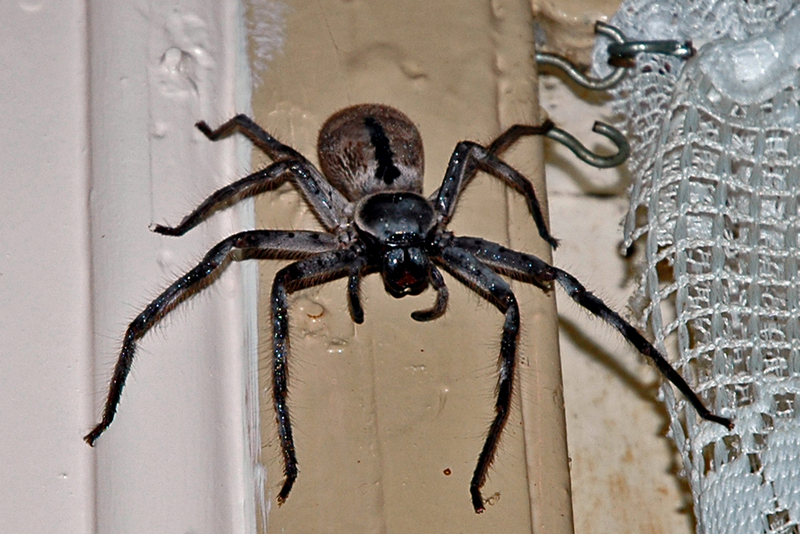 This spider is quickly identified by a glossy black body with long spinnerets. An aggressive spider which rears up when challenged. His venom is seven times as toxic as the female, yet is dangerous only to primates. Secondary identification is a pointed spur on each second leg and reddish black undersides. Similar in appearance with a stockier body than the male. Lives in web-lined retreats in moist, cool locations. The female although less toxic than the male, has caused fatalities, mainly amongst the young, old and sick population. This spider has a pea-shaped abdomen with a characteristic red or orange stripe. The male is much smaller and harmless. Makes untidy webs around rubbish and pot plants. 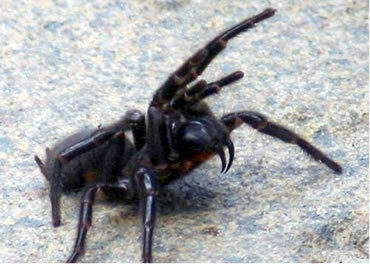 Poison is much slower acting than the Funnel Web and bites causes severe pain with localised sweating. 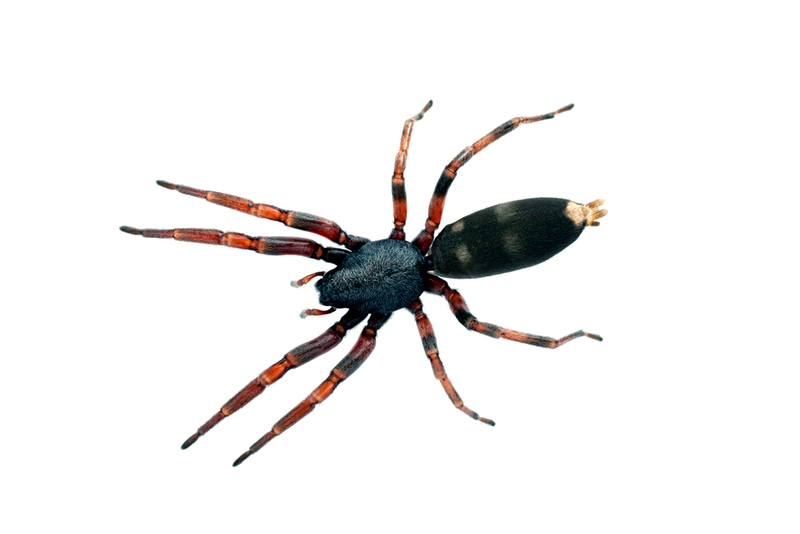 Is related to the Black Widow spider of the U.S.A. and the Katipo of New Zealand. 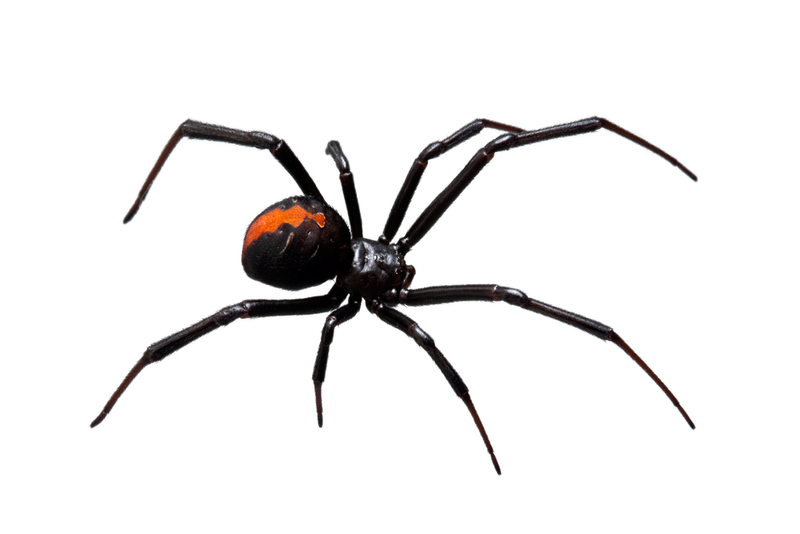 Around 300 spider bites are recorded every year from the Red-Back with seven fatalities attributed. Females often mistaken for Funnel Webs. Large glossy black bodied spider, with the male having a red forepart of the cephalothorax. Female lives in holes with double doors in the ground. Has blunted spinnerets and strong jaws. Toxic and painful bite. 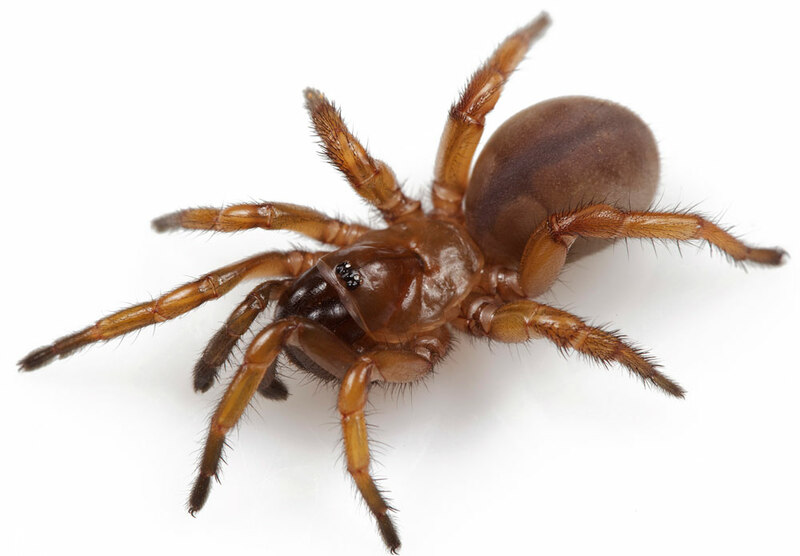 A small dark brown spider with a characteristic white spot on the end of the abdomen. Usually encountered inside houses sheltering from the weather or introduced on clothing brought in from the clothes line. Bite is not usually painful, though may become very painful at a later stage. Ulcers may develop to a stage where necrosis of the skin occurs. Both sexes are dark brown to grey/black with body markings. Builds webs in dark corners of windows, verandahs, sheds or fences. Bite very painful with severe vomiting and nausea resulting. No fatalities recorded. Makes web-lined holes in the ground. Moves rapidly when disturbed. Bite may be toxic and painful for a short while. Ulcers from bite suspected of developing necrosis of skin. Brown to dark brown covered with fine hairs. Leggy spider with male having “Boxing glove” palps. Does not usually leave lid over hole. Painful bite.